As a diehard, green-blooded Girl Scout, I have been a collector of vintage Girl Scout memorabilia for years. And as a seamstress and designer, anything to do with fabric gets my attention. 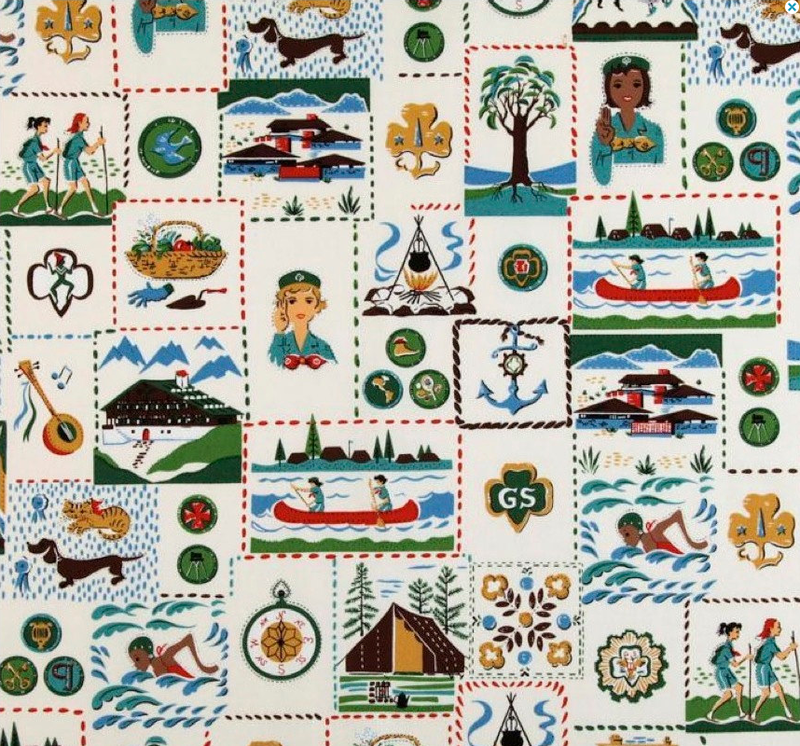 So you can imagine my delight when I acquired some yardage of the original vintage Girl Scout fabric produced in 1959. This fabric is what the Robert Kaufman Girl Scout fabric released in 2010 was based on. One thing that isn't visible to the naked eye is that the older, 1959 Girl Scout fabric is a slightly thicker cotton, not quite a barkcloth but definitely thicker than quilt weight cotton. 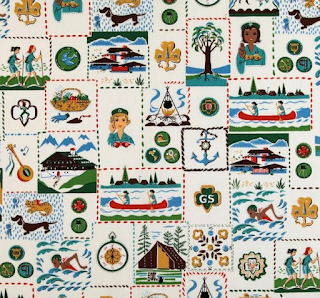 The vintage 1959 Girl Scout fabric and the Robert Kaufman 2010 fabric are both charming, and the imagery is as delightful today as it was 54 years ago! I'm so happy to have both of these wonderful fabrics in my collection..... time to get stitching! Do you have any of this fabric available?